I have found FT Linden to be very professional in their business dealings and would have no hesitation in using their expert services in the future. FT Linden provide a professional service, with a strong attention to detail. They adopt an entrepreneurial approach to business, providing added value and maximising the returns available to their clients. I’ve dealt with FT Linden for over three years. In a difficult market they have been pro-active and have been able to find good tenants for my properties. They have completed the necessary negotiations in a professional, efficient and friendly manner. FT Linden was a great help in finding our firm an office in Edinburgh. 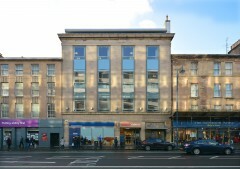 Based in the United States at the time, we had limited knowledge of the commercial property market in Scotland. 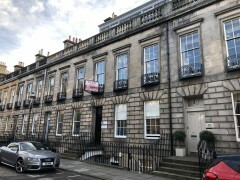 They did a great job securing us a terrific office on Charlotte Square. John and Angus have provided my business with an excellent personal service bringing together efficiency and professionalism in a friendly manner.